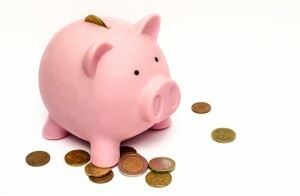 Did you know that 62% of Americans don’t have an emergency savings fund? Or that 47% of households don’t save anything at all? And that 76% of Americans say they are living paycheck-to-paycheck. What many people don’t know, is that you don’t have to live your life like this. With Tio Rico, you can break that paycheck-to-paycheck cycle and commit to taking charge of your financial life. Here are three steps to help you get started! In order to say goodbye to living your life via the paycheck-to-paycheck cycle, you should commit to tracking your spending. Evaluate how much money goes whereby creating a spreadsheet that lists how much you’re spending on food, clothing, gas, etc. Are there any surprises? Do you realize how much you were spending, and on what? Purchases such as coffee, happy hour outings, and even online subscriptions really add up. Are there things that you can eliminate? If yes, then start now. Many people struggle with burdens such as student loans, car title loans, or credit card debt. However, these are problems of their own making. In today’s society, impulse consumerism is the norm and many of us spend much more than we actually need (or can afford!) in order to feel fulfilled. Recognizing the difference between what we want from basic needs is an important step to spending money wisely. >What are basic needs? What is something you just want? These questions can easily be answered after thoroughly analyzing where you are spending your money. You can answer these questions after reviewing billing statements, receipts, or your general financial situation. Reconsider your priorities and monetary habits to include activities that require little or no expense. After all, when it all comes down to it, we should be investing in relationships and life experiences. Applying for a cash loan has never been easier! There are many resources available to you in your financial times of need. My Tio Rico can help you with car title loans, personal loans, and even signature loans. Get loans up to $100,000 with a fast, easy approval system, and no money down so you can pay off large lump sums of debt. Always remember that when you’re in financial need, Tio Rico is here for you with personal loans, car title loans, and signature loans. Break the cycle today and visit one of our many locations or speak with a loan expert by calling 602-322-1010!